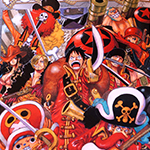 One Piece Manga vol 1000 This is the limited edition Vol. 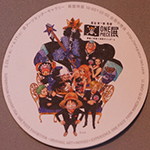 1000, which was given out at movie theaters to those who bought tickets to watch the movie in Japan. The 84 page Vol. 1000 contains 3 chapters. 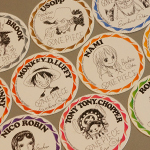 THE WORLD OF FILM Z – story outline about FILM Z EIICHIRO ODA PRESENTS FILM Z DESIGN WORKS – rough character drawings with descriptions CHRONICLE OF Z – Story about Zephr ワンピース千巻は「ONE PIECE FILM Z]を上映する劇場で入場者プレセントとして配布されました。 84ページの千巻のコンテンツには３つのチャプターがあります。 THE WORLD OF FILM Z – 「ONE PIECE FILM Z」の映画設定画と物語 EIICHIRO ODA PRESENTS FILM Z DESIGN WORKS – キャラクターの設定画集 CHRONICLE OF Z – ゼファー先生の物語 Looking for One Piece Manga vol. 1000? 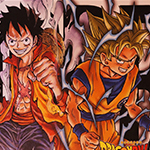 One Piece and Dragon Ball Limited Edition Ticket This is a rare Advanced Movie ticket to promote both One Piece Film Z and Dragonball Z – Battle of Gods movies. There is supposed to be a limit of 8989（ワクワク waku-waku- which means ‘exciting’ in Japanese) of the tickets. 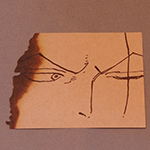 ONE PIECE FILM Z　と　DRAGON BALL Z 神と神のコラボチケットです！ チケットの数は限定の8989（ワクワク）枚らしい。 Looking for One Piece and Dragonball Z Limited Edition Ticket? 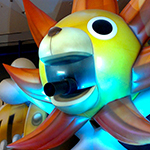 One Piece Film Z at Odaiba A huge model of the Thousand Sunny and Luffy, promoting the One Piece Film Z at Odaiba in Tokyo.